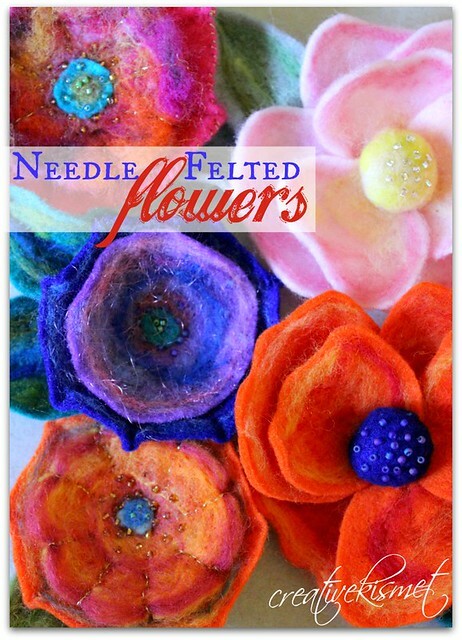 Here is part two of this needle felting flower tutorial. We will be making the flowers below. 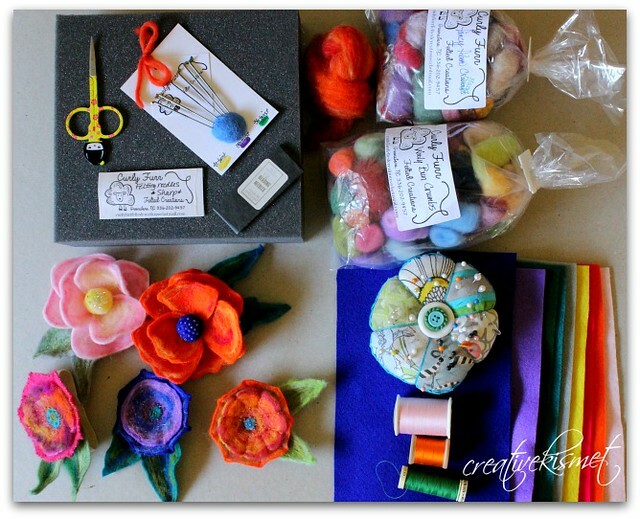 You will need to watch part one to see more in depth, how to do the felting, leaves and supplies. I had meant to make it all one big video, but it was taking to long to edit and upload, so I thought 2 parts would work too. This video is just over 10 minutes. * See notes from part one. * The holes made by the needle in this flower did look a lot better after resting. They are still visible, but a lot less noticeable, especially after assembling the flower. 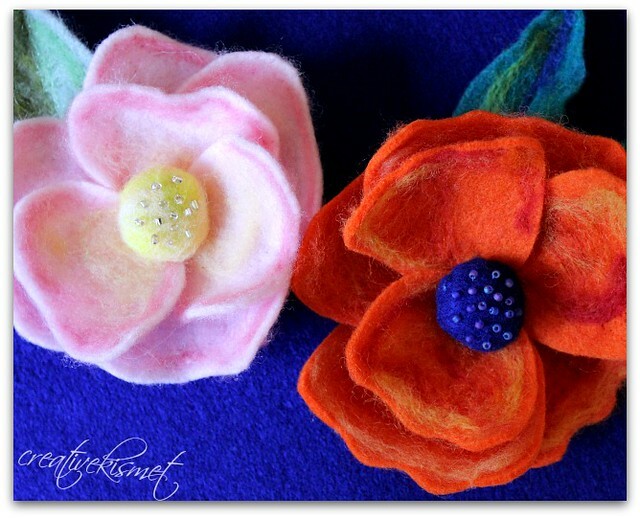 * Please come back on SATURDAY for a felted flower giveaway! This entry was posted in i make stuff, Sewing, Tutorials, how to. Bookmark the permalink. Great tutorials, and wow, your flowers are so beautiful Regina. Love the corsage you made! involved and love the colors you use. Please do more and perhaps include an explanation about thinking about bead options and how to add them.